Join us as we celebrate this long-running creative cinematic collaboration between Irish Film London Patron and Academy Award winning director Lenny Abrahamson and BIFA and IFTA Award winning film score composer and musician Stephen Rennicks. Lenny and Stephen met in primary school aged nine, and have remained friends ever since, frequently collaborating on their most important projects. This event will explore a selection of their joint work, including Frank, Room and The Little Stranger, with a focus on the role that sound and music have played in them. All of the peculiarly brilliant music and songs heard in Frank, were created specifically for the film. Its iconic track ‘I Love You All’, featuring vocals from the film’s lead, Michael Fassbender, became an instant favourite with fans. Room brought new, and expertly-manoeuvred challenges, in the guise of having to reflect the voice of an innocent child protagonist, but also the massive shift from one small space into a turbulent and violently noisy world. 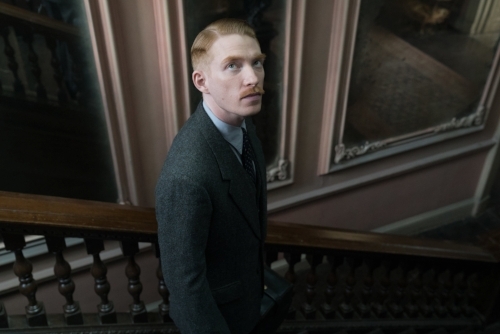 Finally, The Little Stranger reflects both parties of this creative collaboration at their finest, with the score masterfully dancing a sinister ballet with the crumbling characters of Hundreds Hall.